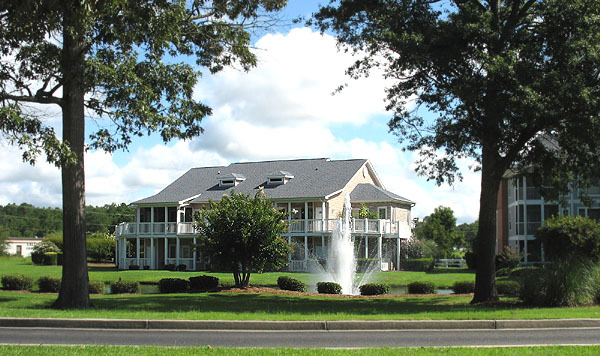 The beautiful and upscale condos in Lightkeeper's Village are possibly the most popular in Little River, seconded only by Coquina Harbour Village on the other side of the water. 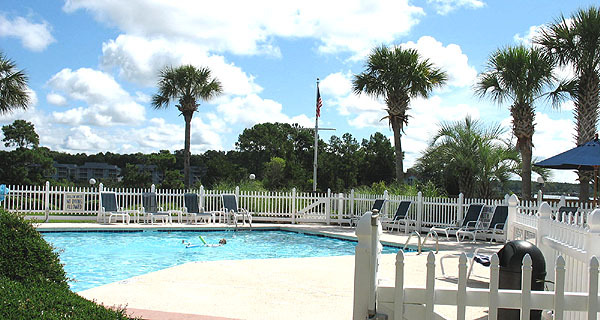 The Myrtle Beach Yacht Club marina runs alongside many of these condos, and many of them offer a package with a boat slip as part of the purchase. 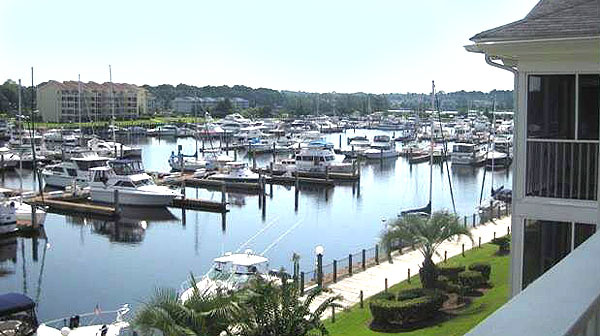 The marina sits inside the U-shaped Coquina Harbor yacht basin, and joins the Intracoastal Waterway at the back. A boardwalk is provided down both sides of the harbor, and whether you have a boat or not, just strolling along the peaceful promenade or watching the boats makes it worthwhile to live here. If you do have a boat, this is your paradise. The back condominiums actually sit directly on the Intracoastal, and have private screened porches to enjoy watching the boats go by. Sizes range from two to three bedrooms with several floorplans, some larger than others. Prices can range from around $130 up to $200,000 for the direct water access buildings. Multiple pools and an excellent clubhouse for parties and get-togethers make up the amenities, as well as the boating access. There are also several lakes with waterfalls all throughout the complex, adding to the tranquility and enjoyable views. 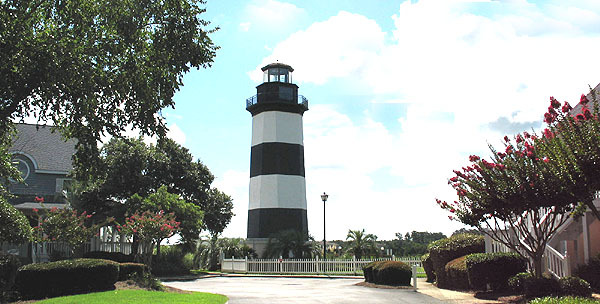 In 1985 a lighthouse was constructed in Lightkeeper's Village, to honor the governors of South Carolina - aptly called the Governor's Lighthouse. This scenic landmark is in the middle of the complex, and has benches to sit and enjoy the sites much like a small park. Water birds and other marine animals abound the marina and complex, such as herons, gulls, terns, and the like. With the meticulous landscaping, the marina boardwalk, and water views everywhere, this is truly a delightful resort that you won't want to leave. There's also an excellent rental income potential, both long-term and for golfing months if you care to use your property as an investment. These condos are all very upscale, with light, open floorplans and private balconies or screened porches to complete the package. There are buildings that offer the traditional three-story condo layout, as well as buildings that present more as a town-house, with the added privacy and feeling of a permanent residence. 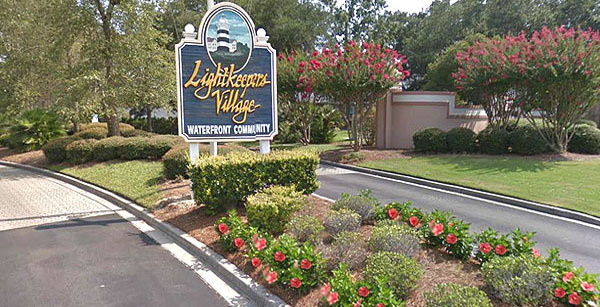 Lightkeepers Village is also the closest community to North Myrtle Beach, located just across the bridge on the east side of Hwy 17. 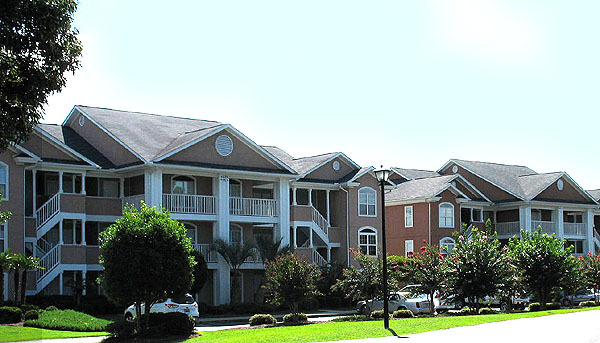 If you are looking for the nicest condo in Little River, start your search with these amazing condominiums. From the price to the amenities, you just about can't beat them. Call or contact us today to tour one or more of these homes.